After several weeks as an atheist, local man, Jack Harris, says he has received almost no admiration from anyone, not even strangers he corners on the subway. Harris became an atheist in order to brag about his beliefs, or lack thereof, to everyone with whom he came in contact. "I just wanted people to think I was smart for not subscribing to any organized religion," Harris says. "Instead they all just ask me things like 'Why would you not want to work towards trying to better yourself to get to a place that is unfathomably amazing?' and 'Why is rotting in the ground better than eternal happiness?' It really bums me out!" Harris says he has taken all the steps to fully realize his atheist potential such as talking down to religious people, destroying every holy book he could find, using crucifixes as painting easels, and spray painting almost-offensive phrases on the sides of mosques. "I just don't get it. I've tried everything! I've talked smugly with my eyes closed, scoffed at the beliefs of others, and applied science that I don't understand to everyday situations. I even got a "Physics take the wheel" bumper sticker to annoy any Carrie Underwood fans. I must not be doing something right." At press time, Harris could be seen painting the words "Atheist as frick!" on the side of a synagogue while wearing a "My god is a tree" baseball hat. 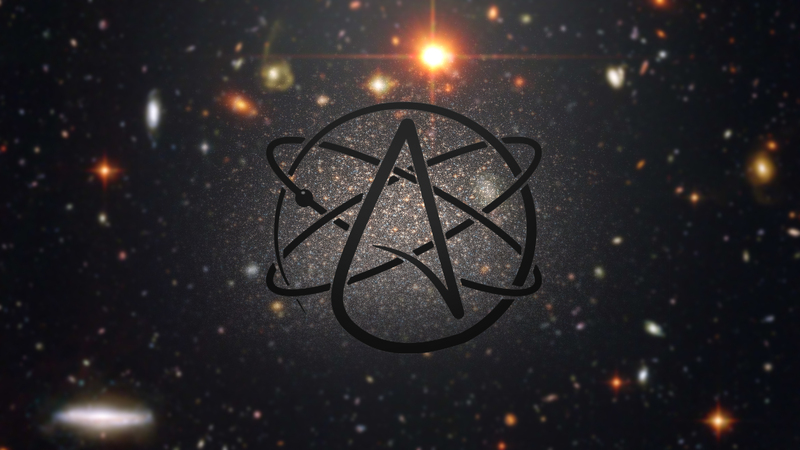 thanks for using my atheist wallpaper i made. A comedy site of the building rubble where you can get the fun under the same roof. You can also get the best scene of the administration with this blog. Maintain your section with cheap essay writing services and find more horoscopes from this area. Copyright 2017 Matthew Innes. Powered by Blogger. Copyright © 2017 Building Rubble.